California Healthline – At first blush, the tobacco tax measure on California’s November ballot looks pretty straightforward. Proposition 56 would raise the price of a pack of cigarettes by $2 and tax e-cigarettes for the first time. Proponents say the higher price would prevent kids from smoking and lower health care spending because people won’t suffer as much from tobacco-related illness. What’s not spelled out is how exactly money raised through the measure would be spent. The ballot measure doesn’t earmark exactly how much of that money should go to doctors or other health providers. Instead, the new Medi-Cal funding would be doled out through negotiations during California’s yearly budget process. Presumably, the bulk of it would go to groups that provide and oversee care in Medi-Cal; doctors, health plans, clinics and hospitals, many of them powerful groups who could influence Capitol discussions about how to use the money. One consumer advocate says uncertainty about how the Medi-Cal money would be used actually is one of the strengths of Proposition 56. “It allows us to have the public process and have it be policy-driven rather than by some formula that’s locked in the constitution,” said Anthony Wright of the consumer advocacy coalition Health Access California. He added that he was “at the table” when the initiative was crafted. Wright said the lack of a funding formula makes it more likely that voters will approve this year’s tobacco tax proposal. The last tobacco tax proposition, defeated by voters in 2012, would have funded cancer research with the revenue from the dollar-per-pack tax. In 2006, Californians voted down another tax that would have added $2.60 to the then-$4 pack of cigarettes. That initiative specified how tax revenues would fund health programs down to the fraction of a percent. Indeed, public opinion of Prop 56 measure was favorable in a recent survey from the Public Policy Institute of California, which suggests 59 percent of likely voters support the measure. The tobacco industry-funded opposition, a coalition of taxpayer groups, retailers, law enforcement and manufacturer associations, is using video commercials to attack how the new money would, in their view, be spent. “Most of the [tax revenue] goes directly to health insurance companies, or other wealthy special interests, to enrich themselves,” says a woman potting plants in a recently launched ad. Other advocates for the poor say because the tobacco tax would be a fixed amount, it is regressive. 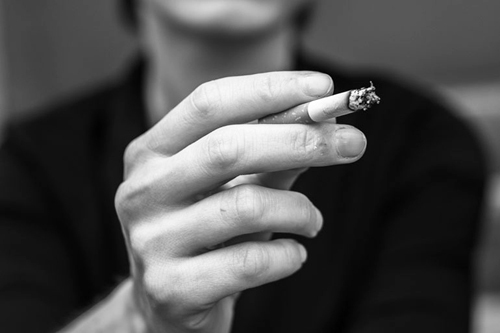 Low-income people buying tobacco would pay a higher share of their earnings, and they would also be disproportionately impacted because they smoke at higher rates. Kathy Kneer, CEO of Planned Parenthood Affiliates of California, acknowledges that the measure is an attempt to raise the reimbursement rates in Medi-Cal, which health providers for years have asked state lawmakers for, with no success. Kneer says health insurance companies would likely receive tobacco tax money because they pay the doctors for about 80 percent of Medi-Cal patients. But the health plans must follow federal rules requiring them to spend most of that money on patient care, not profits, she said. Proposition language suggests that payment increases in Medi-Cal likely would be targeted to specific areas of the program where patients have problems seeing doctors. The California Department of Health Care Services, which manages Medi-Cal, told California Healthline that it “it will consider how to best use the new funding in a targeted manner” but wouldn’t comment further on the initiative. Other policy advocates for the poor agree that the tobacco tax funds should be used strategically to help patients who are having problems seeing a primary care doctor or specialist. “To increase access in Medi-Cal, funds should be focused where access concerns are measured to be greatest,” said Linda Nguy, policy advocate with the Western Center on Law and Poverty. She adds that dental and mental health care are two areas where Medi-Cal access could be improved. Health Access California’s Wright says the new Medi-Cal money would most likely be used for two things: restoring services slashed during the 2008 recession and increasing payments to doctors. Podiatry, vision care and chiropractic services are just a few examples of benefits that were cut from Medi-Cal during the recession and are on Health Access California’s wish list of services to restore. “You can’t make those investments unless there’s some money there to make it,” Wright said. If Proposition 56 passes, a portion of the total new tobacco tax revenues, estimated at $1.3 to $1.6 billion in 2017-2018, the first year of implementation, would be locked in. Before money can be spent on Medi-Cal, the University of California would receive $40 million to train physicians. Dental disease prevention efforts would be guaranteed ongoing funding, too. Medi-Cal would be funded with the remaining 82 percent of the revenues. This story was produced by Kaiser Health News, which publishes California Healthline, a service of the California Health Care Foundation. Contact the author at pbartolone@kff.org.